Revival Fire For Kids is launching new downloadable Children’s Church curriculum on April 11th. The first series is called Follow Me: God’s Social Network. (Becoming a Christ Follower) It’s based on John 15 and has 5 lessons on discipleship. I’ll give more info later, but here some reasons to use Revival Fire For Kids Curriculum. 1. It’s affordable. The doesn’t include a lot of extras like puppets and video or expensive manuals, so we can keep the price down. The downloadable curriculum and power point slides are only $30.00. If you want the premium package, it’s only $60.00. The premium package includes the downloadable curriculum and a CD-Rom with the curriculum It also includes 2 Made 2 Praise music DVDs with songs recommended for this curriculum. The Made 2 Praise DVDs are a $40.00 value which make this an amazing bargain. 2. The curriculum is easy to duplicate for all of your workers. Some curriculums don’t give you permission to duplicate their curriculum manuals. That means you have to buy additional manuals for each of your workers or copy them illegally. This is downloadable curriculum, and you have permission to print off as many copies as you need for your workers. 3. You don’t pay extra for products you don’t need. Some people like all the bells and whistles like videos, Gospel illusions, and other illustrations. If you want additional resources and materials, the curriculum make recommendations on where you can get resources that go with the lessons. But you don’t pay extra for the curriculum to have resources you don’t need included. 4. Revival Fire For Kids Curriculum is easy to use. It’s laid out in a format that even beginning teachers will understand. 5. Revival Fire For Kids Curriculum lists online resources for teachers to use to study the scriptural context used in the curriculum. You can’t give out what you haven’t studied yourself. 6. Revival Fire For Kids Curriculum is flexible. 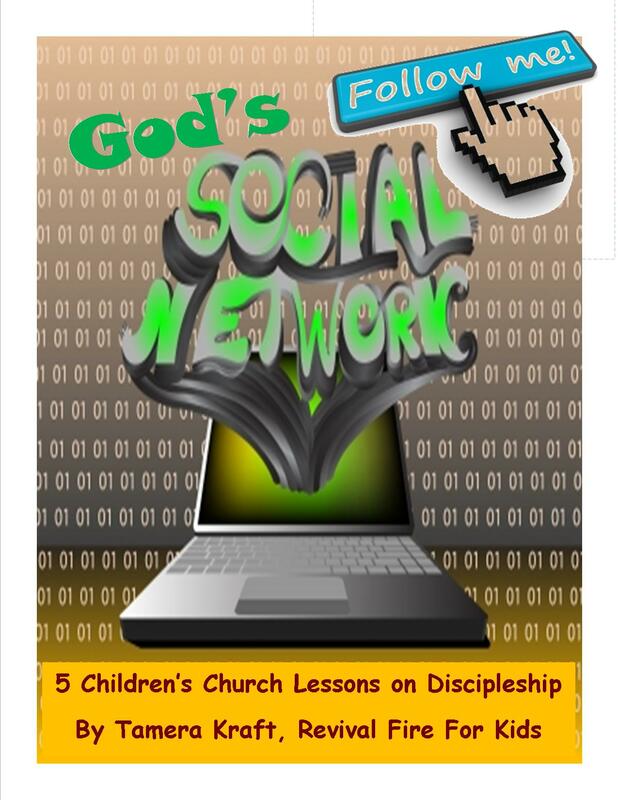 It’s made so you can add or subtract elements to make it work in your children’s ministry. It even includes small group discussion questions. 7. Revival Fire For Kids has no complicated set-up preparation. And it doesn’t have complicated skit with lots of characters and puppets. The skits usually only require one to two people or puppets. It also has easy to use games and object lessons with objects you probably have readily available. 8. Revival Fire For Kids is heavy on discipleship. We believe the Gospel truths are deep enough for a learned scholar yet simple enough for a child to understand. We don’t water down the Gospel. We simplify it and make it easy to understand. We’ll include more info about Follow Me later this week. This entry was posted in Children's Church Cirriculum, Ministry Resources. Bookmark the permalink.